I don't see anything! If i unplug OSD from video system, picture become a little better, but not good anyway. I changed both standard antennas to 900MHz cloverleaf, but it don't help. what can i do with this, and how i can fix this problem. 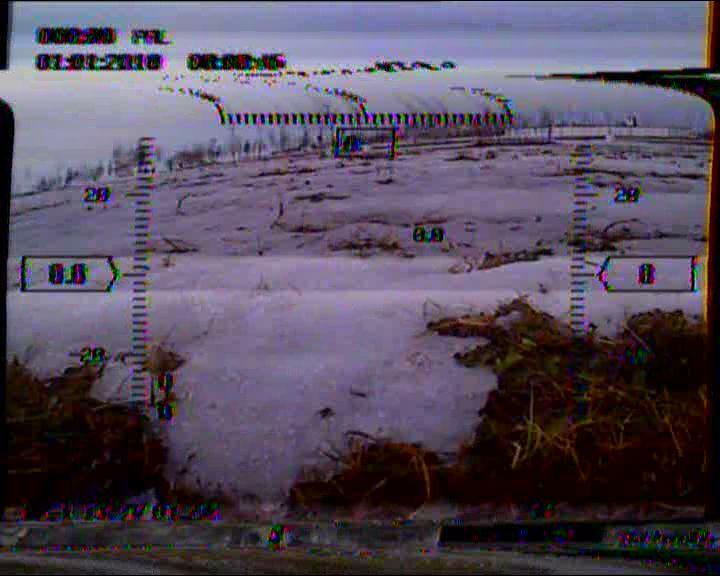 Also, OSD picture is not good, because FPV camera is very bright, and i must to reduse brightness, but if i do this, OSD data become very fuzzy. What if i change the camera to smth else, i mean maybe camera don't work well? If I am not mistaken, your area cell providers use 900mhz. It's possibly interference. Looks like it might be multipathing, the signal reflecting off a building and causing interference. Yeah, you're right, but i tested videosystem with my phone, like making a phone call near copter, but it's not working, i mean video looks good. Also, this park is not in city. there are no phone stations near park. I using a cloverleaf antena, it's blocking the interference, if i'm not stupid, lol. also there is no building near this park. And why interference isn't effecting at the building? But i will try to experiment with a cellphone. 900mhz is not a good choice when you want to fly in a city or close to the city. Why? Cellphones and cellphone towers operate on the exact same frequencies as your FPV system which causes interference. I don't think that multipathing is the problem because of the lower frequency which means less reflection=less multipathing..